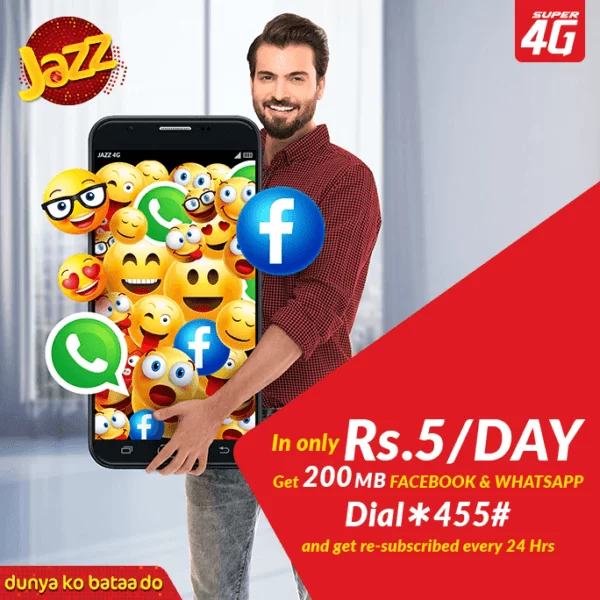 Jazz 4G presents an exciting internet package with very fast internet speed, named as Jazz Daily Social Recursive Internet Bundle offer. With this internet bundle you can enjoy 200 MB internet data for Facebook and Whats app with very high speed on and on up to 1 day. It will re continue automatically after every 24 hours. The validity for this package is 1 day. You can subscribe and unsubscribe it daily by dialing *455#.